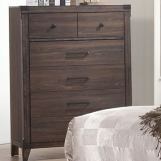 Coaster Richmond Slat Bed Bedroom Set in Black. 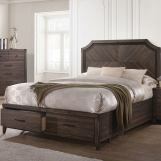 Characterized by simple geometric styling and a sleek black finish, the Richmond bedroom collection presents a fashionable, versatile look appropriate for a wide variety of home settings. 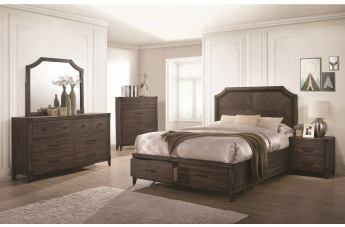 Pleasing horizontal slat detail appears on the headboard and footboard of the bed and echoes throughout the collection. 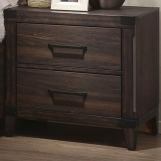 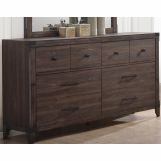 Gleaming silver-tone knobs and pulls accent the front of every storage piece, popping against the deep black finish. 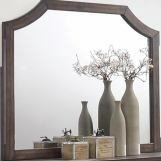 Mix and match these stylish pieces with your own decorative touches to create a personalized bedroom environment.